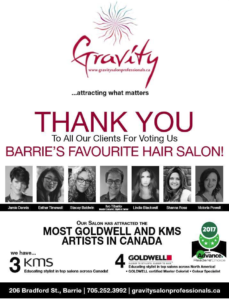 We would like to thank everyone who voted us BARRIE’S FAVOURITE SALON! Also, a humongous thank you to all our fantastic clients and friends who continue to trust us, we could not have accomplished this without any of you! 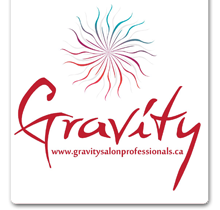 Finally, last but certainly not least, THANK YOU to our amazing Gravity Salon family, we would not be BARRIE’S FAVOURITE SALON if it weren’t for our amazing talented and unique group! WHAT AN AMAZING TEAM, THANK YOU TO EVERYONE !!!!! !